The Hulk | PADDYLAST INC. 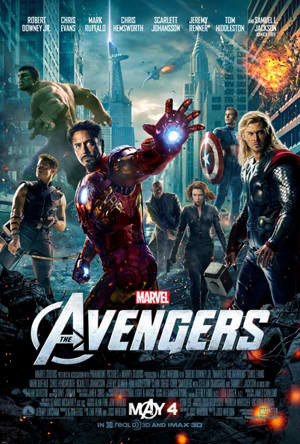 The Avengers tells the story of Nick Fury (Samuel L. Jackson) and Agent Coulson ( Clark Gregg) assembling a group of superheroes (rather gifted and talented creatures) which they have been doing for the past five years to form a military force known as the Avengers Initiative. There we see Iron Man (Robert Downey Jr.), Thor (Chris Hemsworth), Captain America (Chris Evans), the Hulk (Mark Ruffalo) being joined by Fury and Coulson themselves, Black Widow (Scarlett Johanssen) and Hawkeye (Jeremy Renner) to fight for humanity. In this film, we see Loki (Tom Hiddleston) leaving Asgard to take up Earth as its king and enslave humanity including his brother Thor. It’s funny because Loki’s much more interesting now than his less-compelling antagonistic take in Thor. Somehow, it enriches his character as well as Thor himself which I thought was the weakest prior to this film – performance wise. There may be some weak moments in the film, which are stereotypical with the genre – good versus evil, but there are far enough moments that I can truly say that The Avengers really is the best film in the Marvel series. It has stunning action sequences, great climax building and the characters establishment was superb! I thought the banter between Tony Stark (Iron Man) and Steve Rogers (Captain America) was good and carry the film all throughout. And with the occasional hilarity of the Hulk’s character – I thought it was effortless. Althought I’m not exactly a fan of the series, I am still excited for the sequel which I think we will be getting after this. The Avengers took on some cultural icons and made them even more appealing than they already are. The anticipation for this film was worth the entire wait and the expectation which I think is pretty high was nevertheless a success.